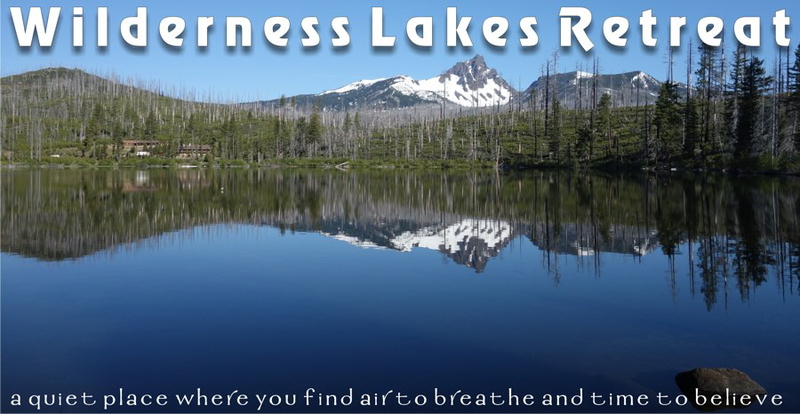 Welcome to the still shores of Round Lake in the Mount Jefferson Wilderness in Central Oregon! You are a thousand miles from the frenetic pace of city life with all its cares and pressures, but you're only 30 minutes outside of Sisters, Oregon. We are a bit of an enigma; feeling so far away but actually being within easy reach. We are a genuine Retreat Center with a big sky full of stars, a big valley full of peace and a beautiful lake full of possibilities. Refreshed and strengthened by ice cold water from our ultra-deep well you'll find the time and energy to hike on our well-groomed trails or catch some trout on our private dock or aboard one of our canoes or maybe shoot some hoops on our basketball court or just relax and take a nice nap on one of our comfy bunks. With a modern, commercial- grade kitchen and ample dining hall, mealtimes are fun gathering times with room to stretch out. For those who always carry a little responsibility with them, we have a quiet generator that powers our cell phone signal booster so home and office are normally available. With all of these resources at your disposal, you might think that our prices would be out of reach, yet you'll find that we are less expensive than most plain camp grounds. With accommodations for 100 people, you can enjoy a conference, a kids camp, a family reunion, a business getaway or any number of gatherings at a fraction of the cost of a hotel solution.